Summer storms – yet again! Pulling out of Paddington on a Great Western train bound for Truro is indeed still a romantic way to travel. 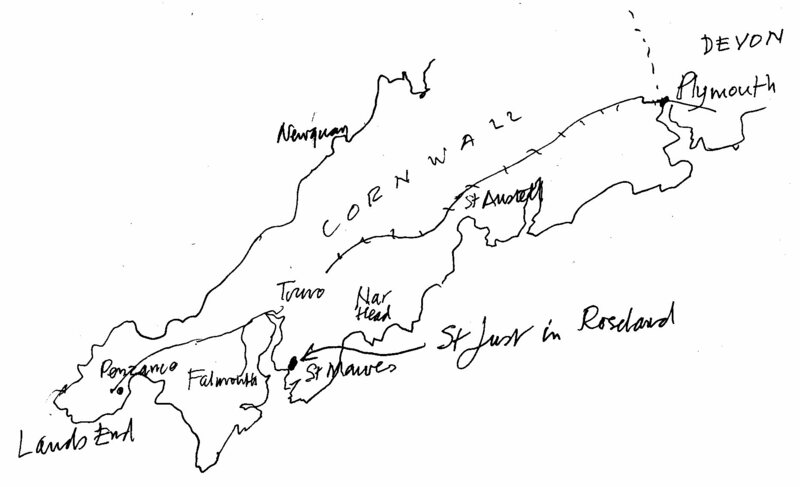 The train pounded down Brunel’s iron horse way over the Thames with its handsome twin archway bridge at Reading, then charged along the tracks to Exeter, then down along the coastal rail which was destroyed in the gales of yesteryear having taken on board four matelots at Reading bound for further training at HMS Raleigh, no doubt to man the fleet’s two new aircraft carriers! 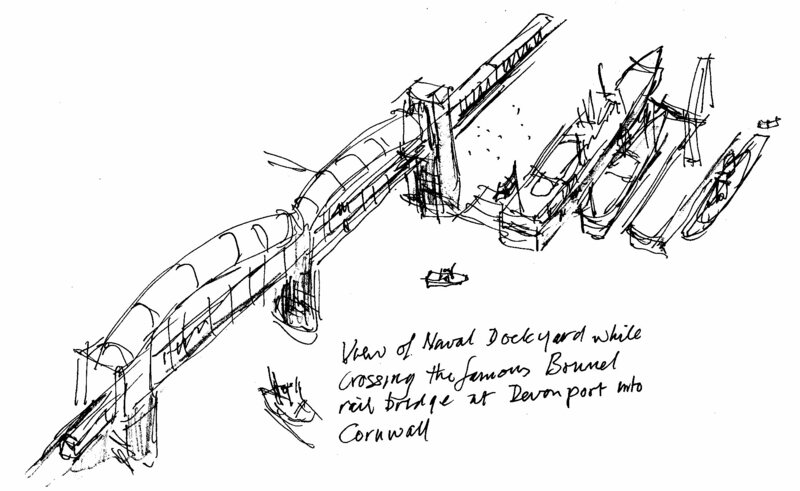 A quick glimpse of Devonport’s dockyard from Brunel’s great bridge, and into Cornwall proper when the gales hit us fair and square, and on to Truro where we were driven to St. Just in Roseland, just by Betjeman’s idyllic church overlooking a Creekside ship yard. Here we battened down the hatches for our summer’s week-long holiday! In good company we lit the wood fire and settled into a good book or two. Dodging the breaking seas crashing into St. Mawes’ tiny harbour, we took succour in a fine fish lunch in a sea-sprayed restaurant without a ‘sole’ to be seen! Later in the week we paid another visit to a four-star restaurant at the Nar Hotel – an annual treat where the ocean in fine fettle provided us with dramatic ocean scape to be remembered. Here, inside the restaurant, the splendid ‘Beken’ photographic enlargement of ‘J’ class yachts racing at Cowes reminded us of the yachties in mid Atlantic being rescued by a Cornard en route to where our Easter Tall Ships were bound. The younger Kents blew in from Bristol to take part in dinghy training which was, not surprisingly, cancelled. 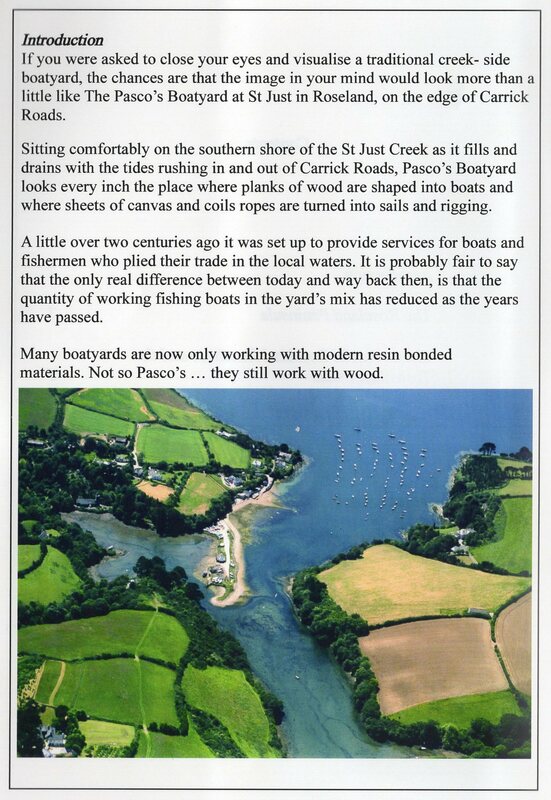 This gave us a chance to view Pasco’s traditional Cornish boatyard at the bottom of the garden in picturesque St. Just Creek (thanks Pasco’s for their photos). 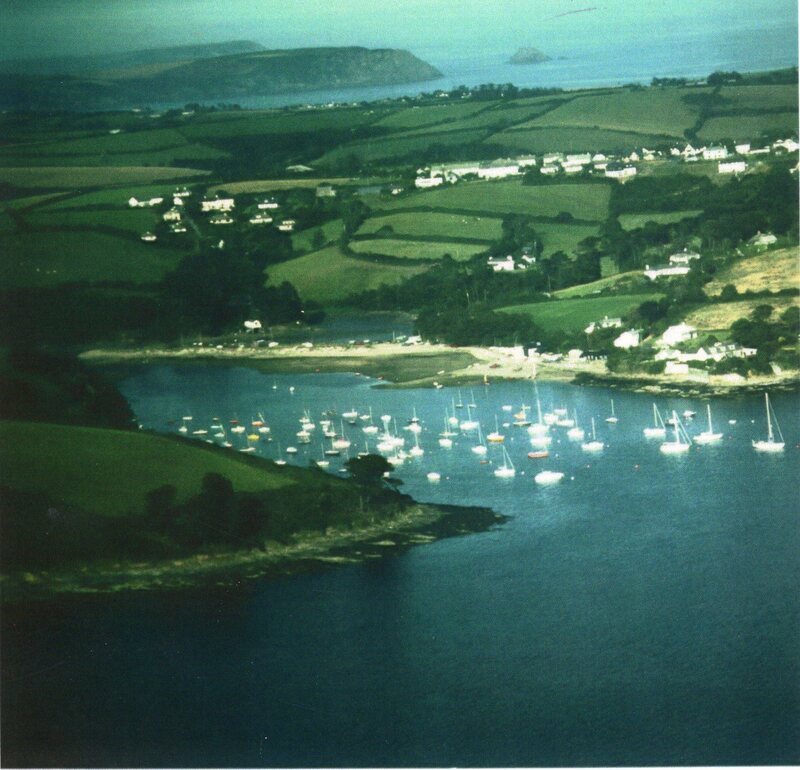 Just down the Creek, Simon’s yacht lay at anchor in the startling winds, safe in the care of Pasco’s, where new craft were being built on ancient slipways and launched into Church Pool in the shadow of their headland house just off Carrick Roads Falmouth deep water port. 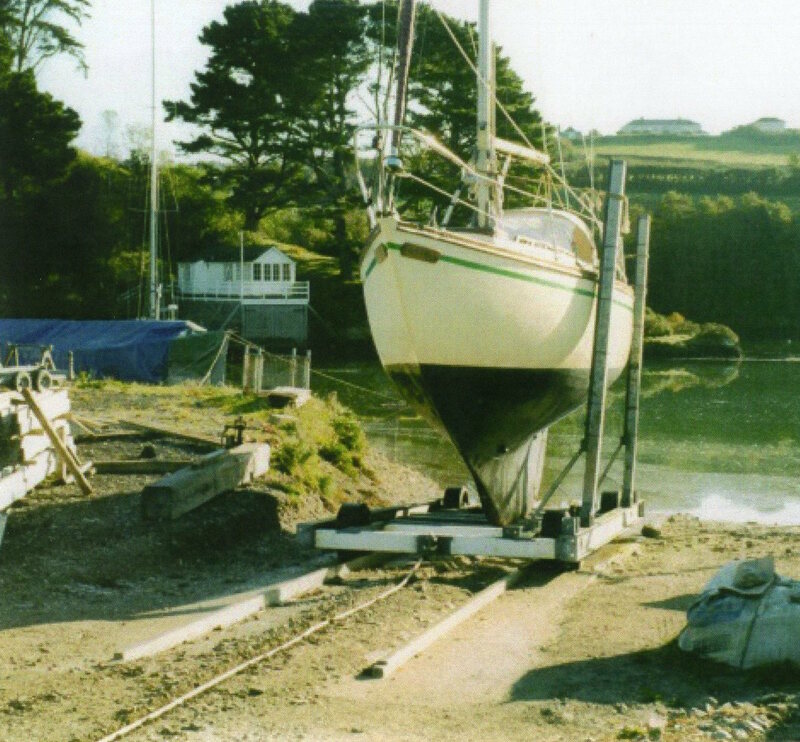 Pasco’s had built a comfy hide-away for sailors, fitted out with comfort stations, overlooking the yard and creek – just the job for grandparents hiding from the storm as June slipped away!